Magnum Chronicles is probably one of the most challenging magazines I’ve ever read. 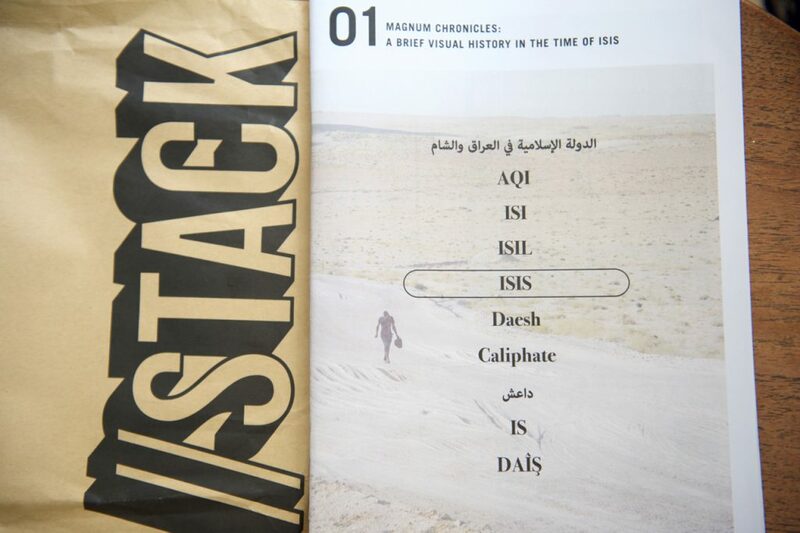 A Brief Visual History in the Time of Isis is the very first issue of the independent storytelling magazine and is a harrowing documentation of the rise of Isis in the Middle East. 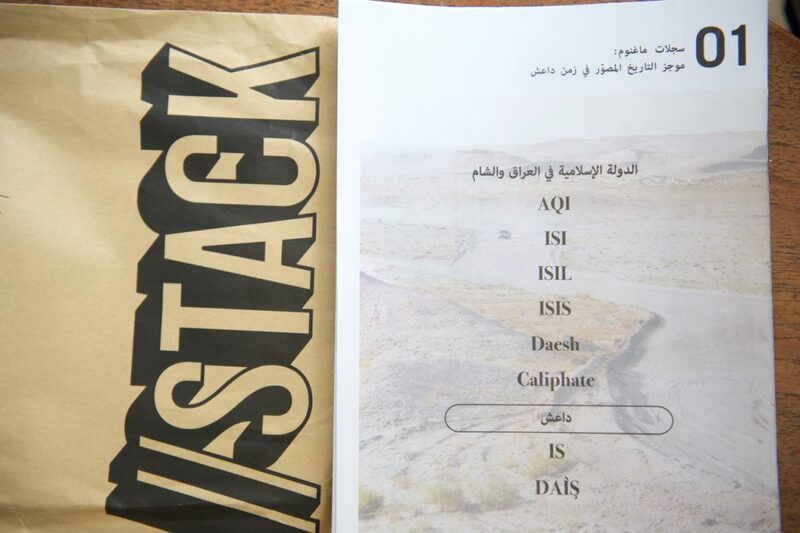 I received this issue as the May delivery from Stack independent magazine subscription service. 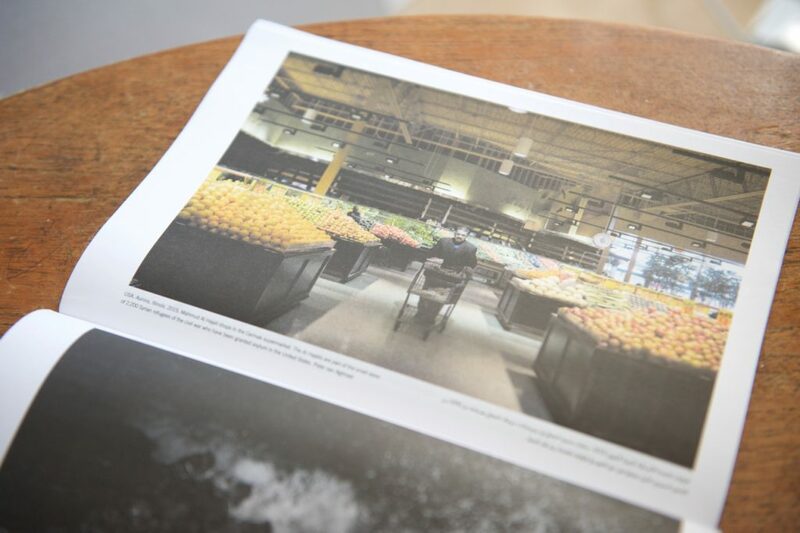 The lightweight newsprint type paper of the magazine reflects the timeliness of Magnum Chronicles, making it light, quick to flick through and easy to engage with. Yet the content and photography is far from disposable. 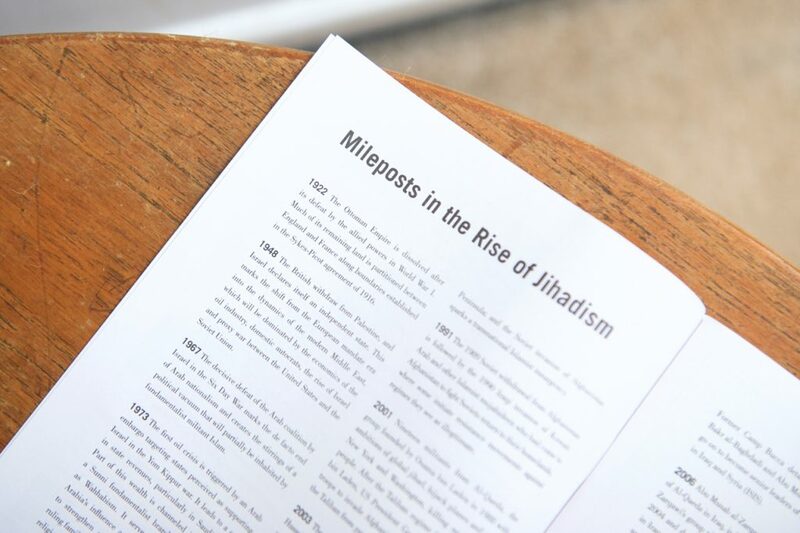 Poems, articles and documentary photos form this nuanced perspective on the origins and impact of the Islamic State. Viewing their language alongside mine only served to heighten and highlight the disparity between their life and mine; the horrible impact of a far-reaching conflict that they’ve been unfairly swept up in. Magnum Chronicles’ roots began 70 years ago as Magnum Photos an award-winning documentary photography agency originating in New York. Now a global co-operative, its delicate, practiced approach to documenting conflicts is clear in the detailed knowledge and assured style. I really enjoyed Magnum Chronicles’ clever form of having a reversible cover and inside pages. 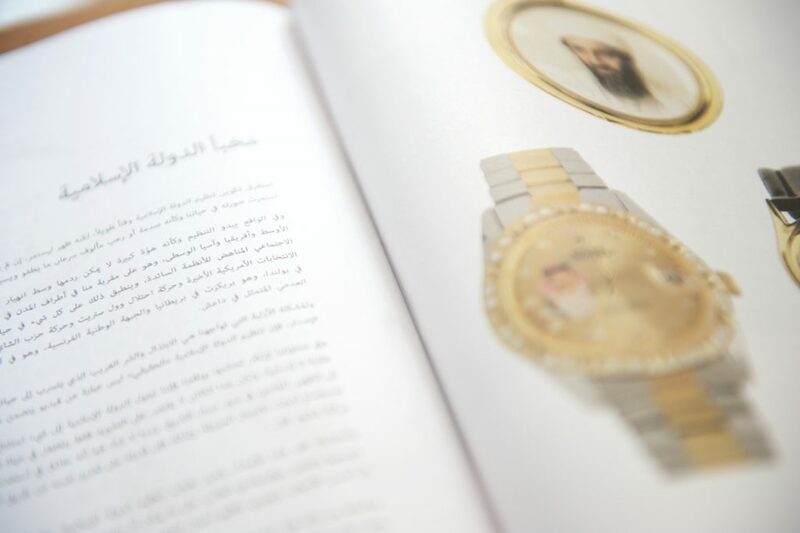 On one is an English cover with the magazine reading left to right, and Arabic on the reverse, with the magazine reading right to left. 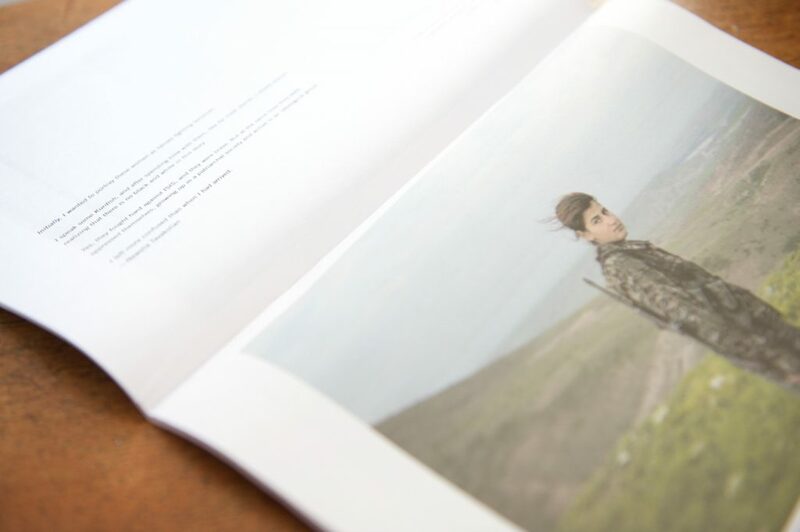 Not only does this mean the magazine is able to reach a wider audience, but I felt a deeper pull to the people’s stories and histories documented in the magazine. 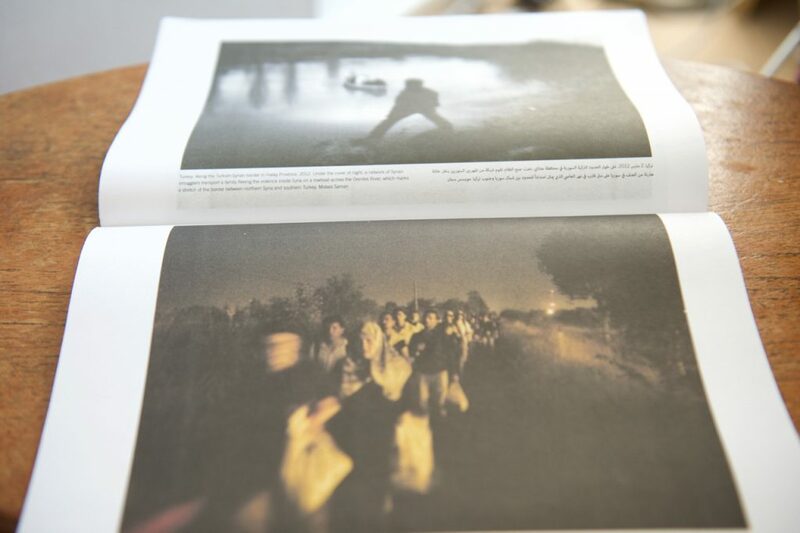 Viewing their language alongside mine only served to heighten and highlight the disparity between their life and mine; the horrible impact of a far-reaching conflict that they’ve been unfairly swept up in. Magnum Chronicles manages to expertly fuse the clinical facts, timeline and analysis of Isis’s history with deeply personal photojournalism. A combination that proves the weight and worth of independent journalism and that I frankly can’t wait to see more of.